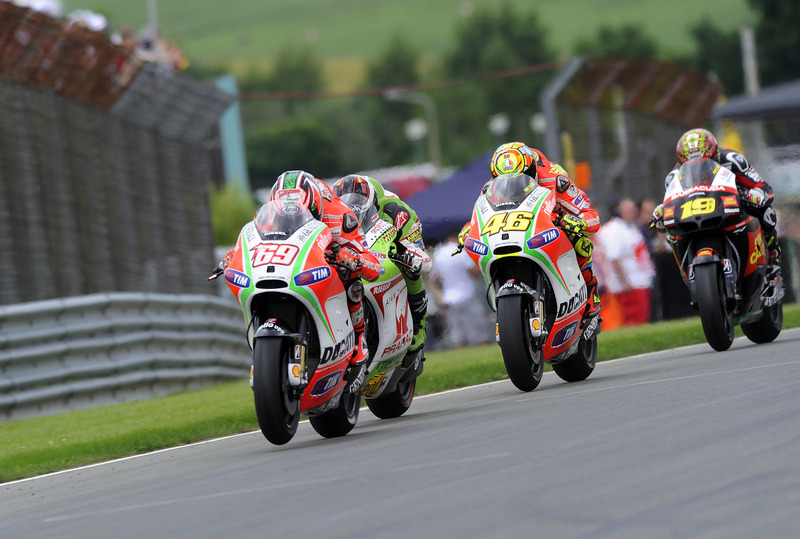 Valentino Rossi and Nicky Hayden crossed the finish line of the German GP in sixth and tenth places, respectively, after fighting throughout the race in a group of four or five riders. With just one practice session and the warm-up having taken place with no rain, the Ducati Team had little time to work on the dry settings that they used for today’s Grand Prix, but they both identified a number of adjustments that allowed them to consistently ride at a good pace. On Friday, the team will return to the track in the first practice sessions for their home GP at Mugello, where a one-day post-race test will take place on the following Monday, concluding three intense weeks of work.